Florida is still blessed with wonderful weather and warm ocean breezes, so why don’t you take a few days off to relax in the sun…? With today’s deal you can book The Inn at Key West from $152 nightly and pay low season price for this nice 4 star inn style beach hotel that comes with extras. The 4 star The Inn at Key West is located on N Roosevelt Boulevard, on its own strap of sandy beach by the waters of Salt Pond Keys. 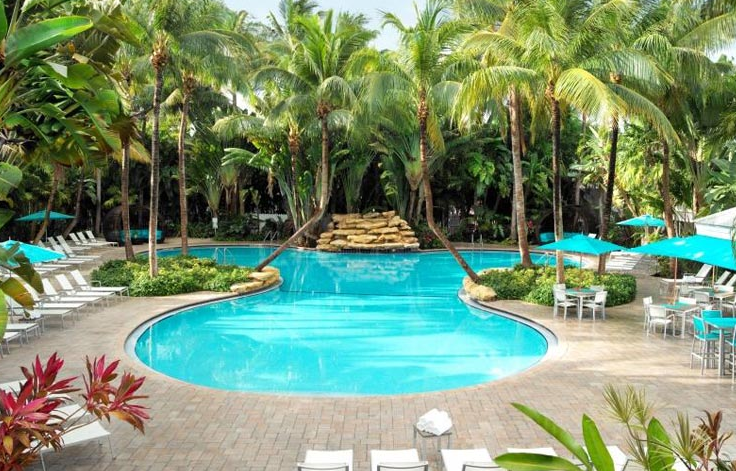 Key West Tropical Forest and Garden, Tennessee Williams Theater and Key West International Airport are all nearby. 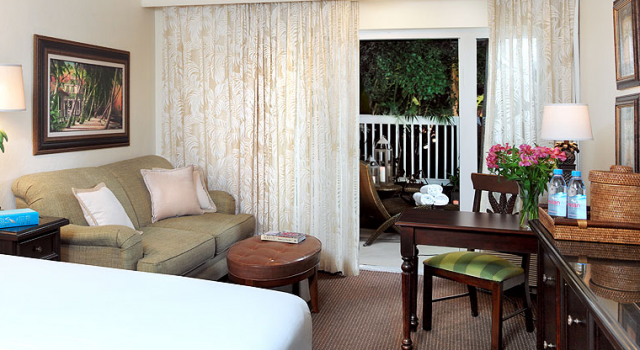 The elegant beach style guest rooms of the 4 star inn hotel have king or queen size beds. 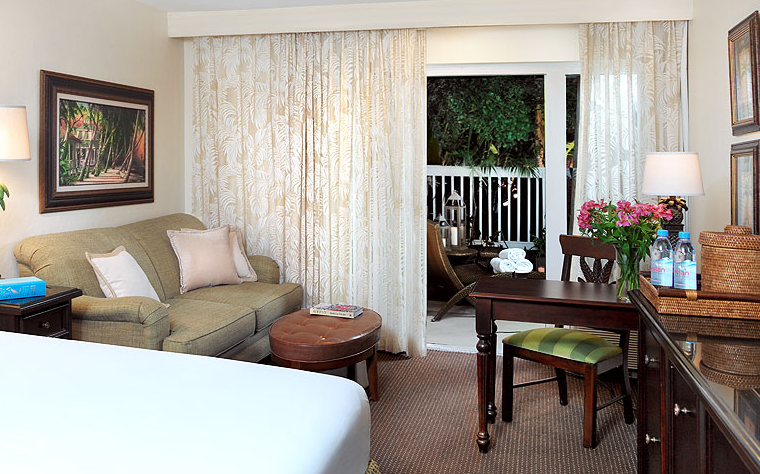 Among the many standard room amenities of The Inn at Key West you will find in room climate control, coffee maker, large windows with blackout curtains, high speed Internet connection, large flat screen TV with satellite, rain shower in the freshly renovated bathroom and so on. The large pool of the beach hotel is one of the biggest in the area, surrounded by lush tropical gardens and outdoor lounge chairs and has a rock waterfall too. 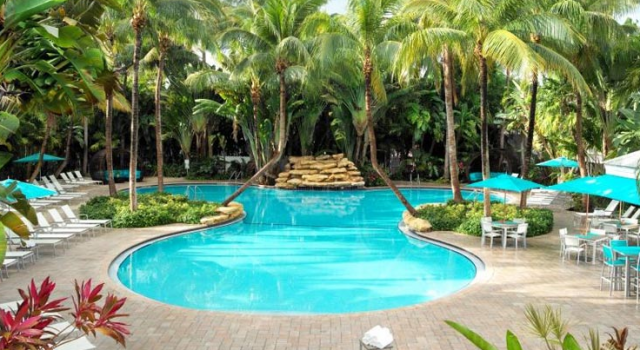 You can also regularly listen to live island music by the pool of The Inn at Key West or just soak in the water. 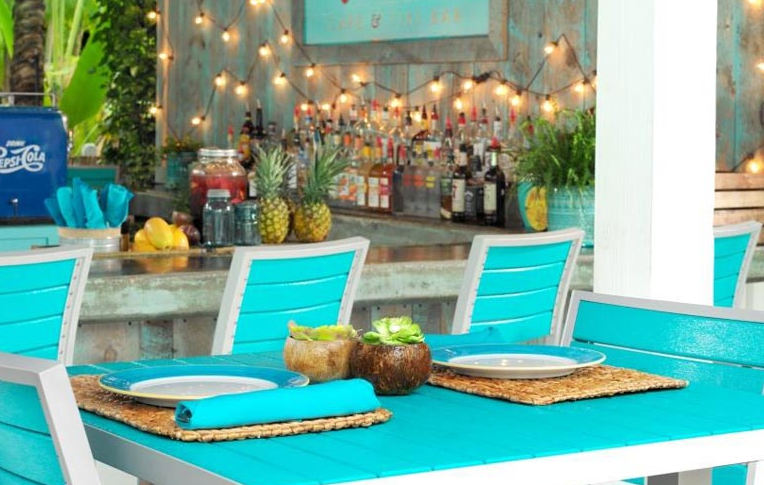 The on site restaurant, The Oasis Cafe and Tiki Bar is next to the pool and has a nice outdoor seating area. 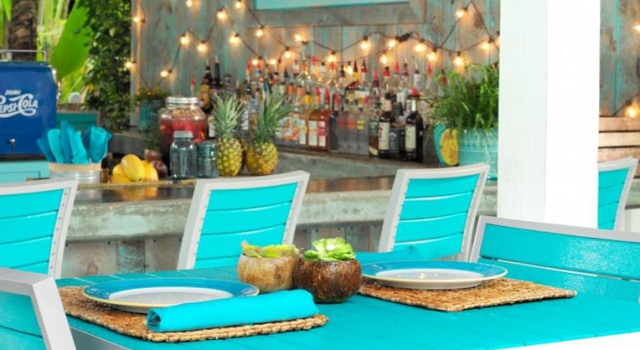 It feels like you are in paradise on some exotic island with the tastiest food and drinks. At restaurant of The Inn at Key West you can find buffet breakfast, light fare all day, cold cocktails and other drinks. Select a couple of the travel sites from the box for a quick research to see if there are better value or cheaper Key West hotels on the market. You must also add the check in and check out dates you want and click the button to see lots of hotel deals for your Key West trip in a few moments.